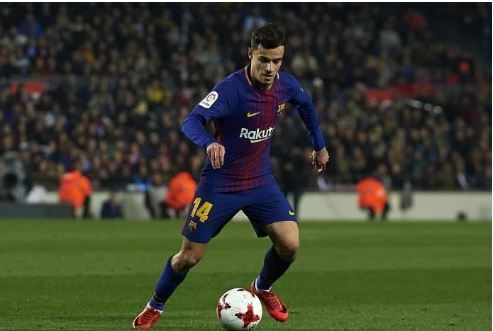 Barcelona midfielder, Philippe Coutinho will likely leave the club after just one season to join Premier League giants, Chelsea. According to El Gol Digital, Barcelona chief, Josep Maria Bartomeu is ready to beat La Liga rivals, Real Madrid over the signing of Chelsea ace, Eden Hazard by offering Coutinho to the West London club. The Spanish medium reports that Bartomeu met with Chelsea owner, Roman Abramovich on Sunday over the possibility of swapping Coutinho for Hazard. The report also claimed that Chelsea are now in pole position to sign the Brazilian international ahead of Premier League rivals, Manchester United, who are also interested in the midfielder. The 26-year-old, however, featured in his side’s 3-0 victory over Eibar in the La Liga encounter on Sunday at the Camp Nou.